IMAGO Glass has a new location in Evanston! At IMAGO glass, we install high quality glass shower doors. We provide only the highest of quality glass shower doors Evanston in the industry, whether you are looking for clear glass, frosted glass, tempered glass, tinted glass, starphire glass, or low lead glass. What’s more you can choose from framed, frameless glass shower doors or sliding glass shower doors. It can be tough to make the decision, so feel free to ask the contractor! Shower glass doors installation is our passion and you can count on advices from us. 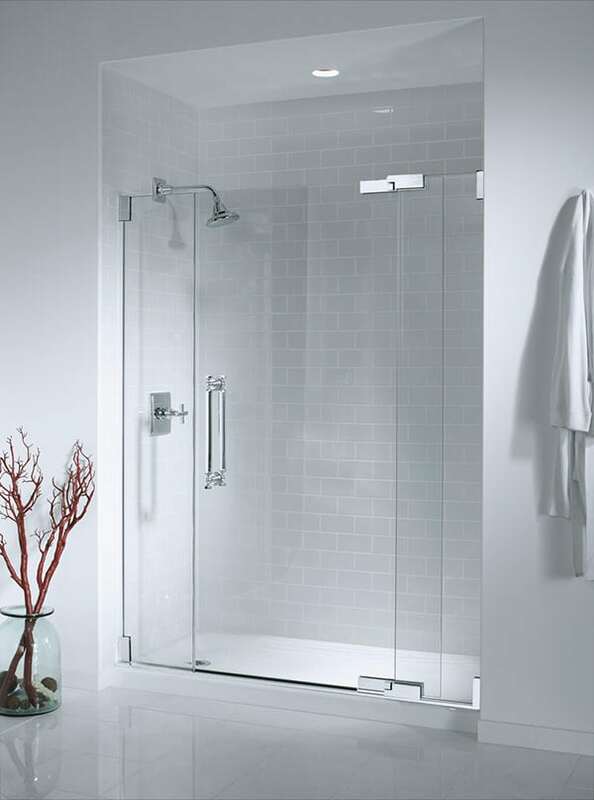 At Imago Glass Inc., we pride ourselves on using the best materials available for all our glass shower doors in Evanston. If it’s your first time looking into new shower glass doors in Evanston, you might be surprised to learn how many options there are. For a classic look, we have simple clear glass. For those who prefer a bit more privacy, we offer frosted glass and tinted glass. Tempered glass doors are great for families with kids, providing a greater deal of protection against breakage. In addition to standard styles like these, we also offer a full range of custom shower doors in Evanston. If you’re looking for unique styles like rain glass or colored glass, we have a complete selection at your disposal. Whatever your style, we have a solution for you. With IMAGO GLASS Inc all glass shower doors in Evanston are custom made for a perfect fit! Our rates are extremely competitive for both products and shower glass doors installation services. We also provide custom glass shower doors, so if your shower is of an unusual size, you are not out of luck, like you might be if buying from a catalog. We also install bathtub shower doors and glass shower enclosures. Our 15 years of experience with glass shower doors has allowed us to provide Chicago with the best shower doors around. And now, we can spread our expertise and offer you glass shower doors Evanston. Need a new glass shower door? Have any questions about shower glass doors? Be sure to contact IMAGO Glass Inc today for your glass shower doors installation. IMAGO Glass Inc offers a wide range of shower glass doors in Evanston – frameless shower doors, sliding shower doors or custom shower doors – whichever you need, we got you covered!